IMPORTANT: These findings have not been tested for lead content. DO NOT use for children under 13 years old. 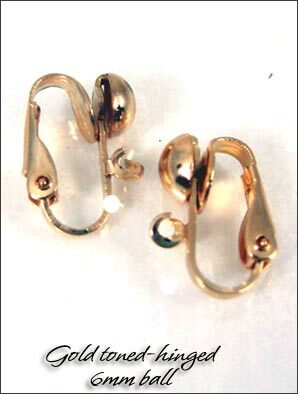 Features: A standard for non-pierced earrings. 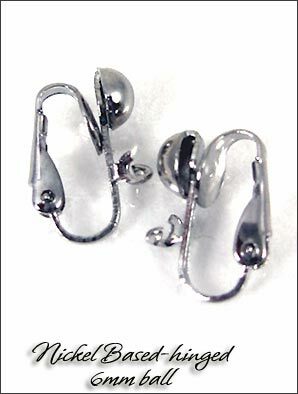 These type of clip findings compliments the look of chandeliers and large earrings beautifully, adding the touch of silver-toned ball to the top of the earrings creates a great overall balance. These clips are hinged based only, so we recommend them to people who are used to wearing these types of clips. Note: nickel, and plated clips are not recommended for people with nickel allergies. Clip findings and parts from Crazy4clipons.com are NOT to be used to make products for children under 13 years of age.